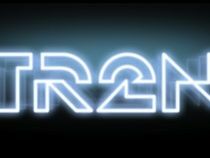 The new Tron: Legacy trailer has debuted at ComicCon in San Diego, showing off more flash lights and stretchy suits than ever. The tech world is mandated by gadget law to slaver over the prospect of a new Tron film, and the trailer for the new film, coming in December this year, shows that the CGI effects are certainly looking up to scratch. Special kudos should go to those in the effects department who managed to de-age Jeff Bridges so successfully, and the updated costumes, complete with a new set of electroluminescent tape to bring the look into the new century, have a similar effect. The new film is obviously bringing with it a wide range of merchandise and tie-ins - the coolest device is clearly the Razer mouse and keyboard. Plus you'll also be able to order a full Tron suit in the near future - a company has acquired to the rights to help you look like an illuminated beacon on your motorbike.